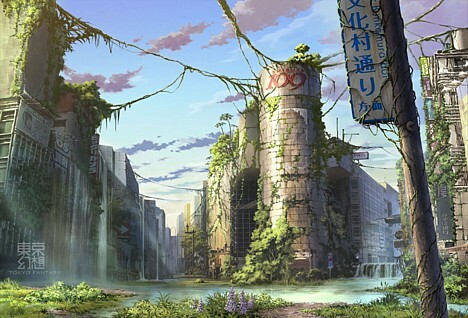 A dude has illustrated rather clevery some nifty post-apoc scenes of Tokyo with moss-overgrown structures and run-down venues. This is the kind of stuff I’d hang over the mantle, for serious. This entry was posted in good wallpaper, images, oblivion, pwn, science, unlikely wallpaper. Bookmark the permalink.